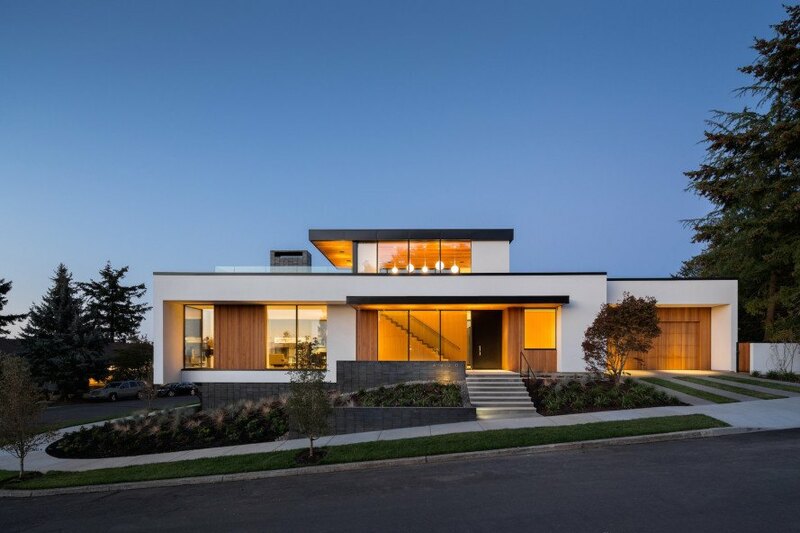 Located on an infill site on Southeast Portland's Mount Tabor, the Ash + Ash house, designed by architects <a href="http://www.henneberyeddy.com/" target="_blank">Hennebery Eddy</a>, combines stylish modern design with an array of eco-friendly features, making the home largely independent of the city's water and electrical systems. Outdoor living is a key ingredient of the design, with a variety of outdoor porches and terraces providing space to enjoy the views at various times of day and in different kinds of weather. 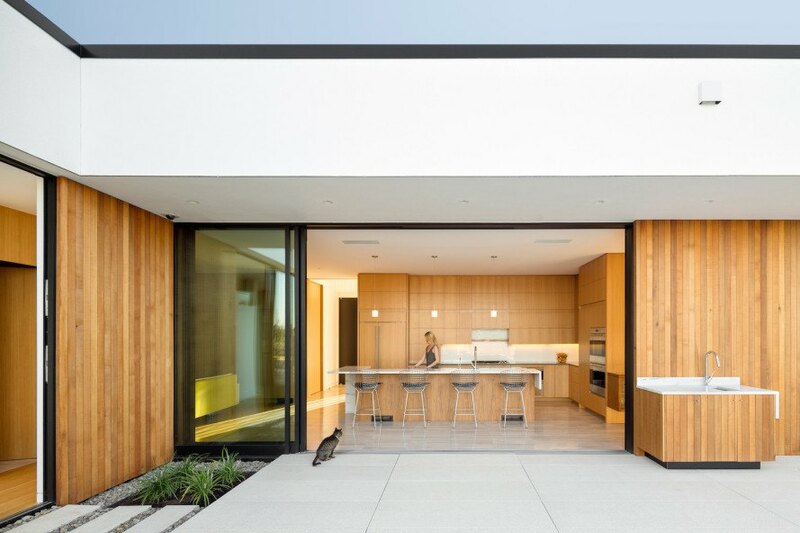 Extensive use of glass throughout the house reduces the barrier between inside and out, while an L-shaped floor plan provides a private setting for the pool terrace. 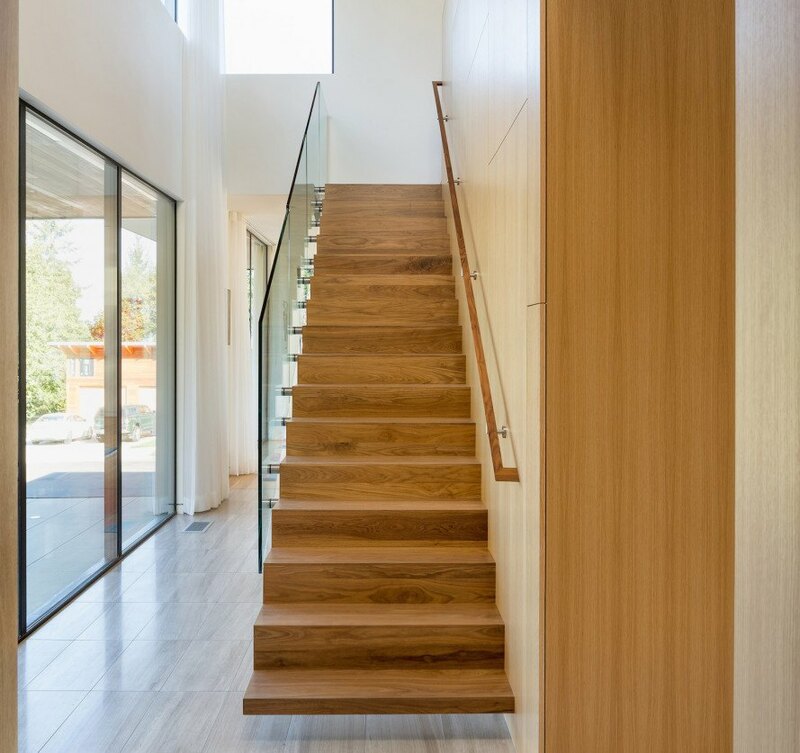 The <a href="https://inhabitat.com/index.php?s=LEED">LEED-certified</a> home features a wide array of eco-friendly additions, making the home largely independent of the city's water and electrical systems. 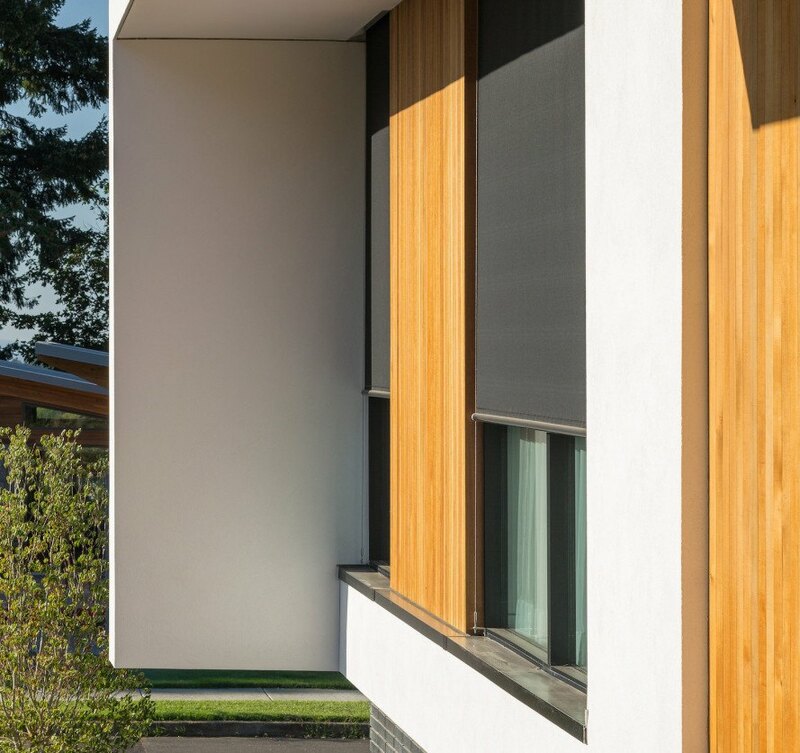 Exterior blinds and deep cedar overhangs shade the extensive windows and LED light fixtures with auto-dimming minimize the use of electricity for lighting. 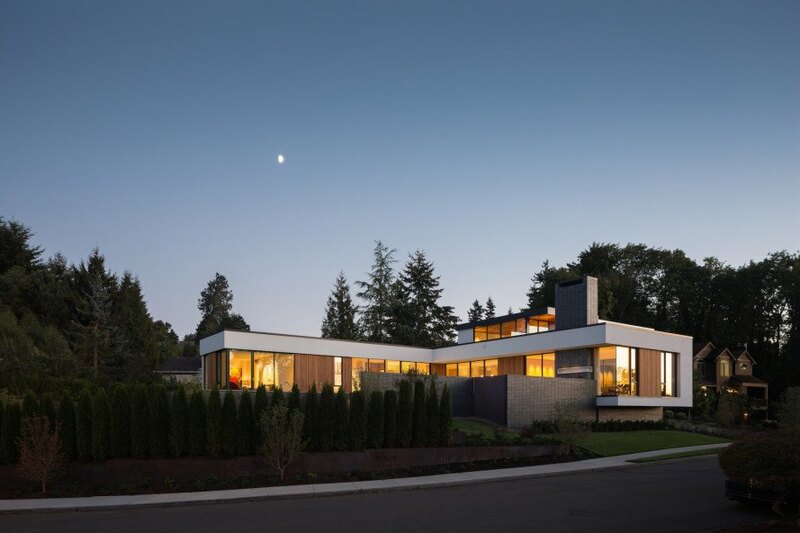 The exterior walls were created using white stucco planes with large panels of inset glass and <a href="https://inhabitat.com/index.php?s=cedar" target="_blank">cedar</a>. A cantilevered staircase leads to the rooftop terrace. 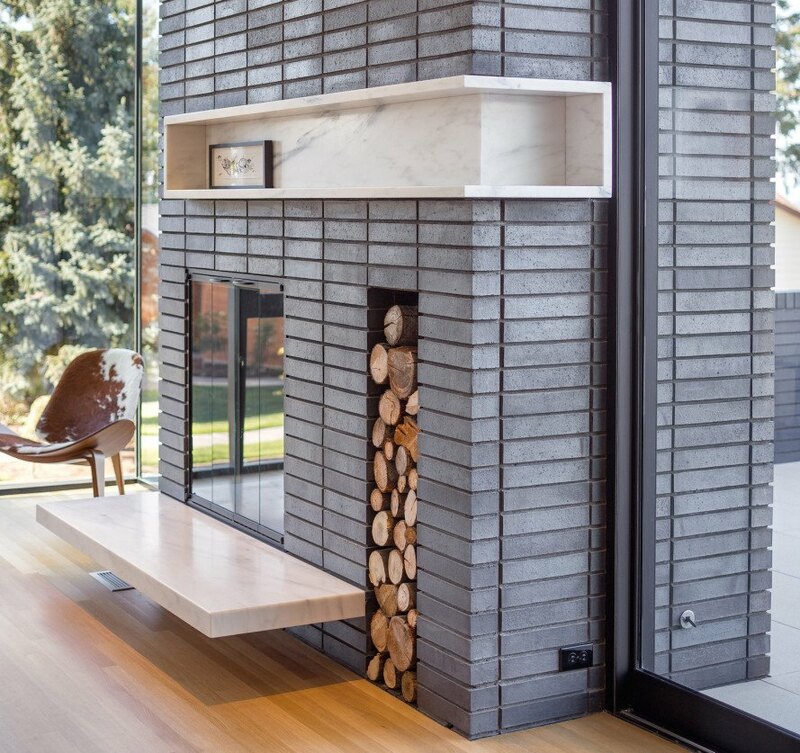 Ironspot brick is used both inside and outside of the LEED-certified house. Interior spaces in the communal areas of the home are spacious and airy, while bedrooms and bathrooms are more intimate. 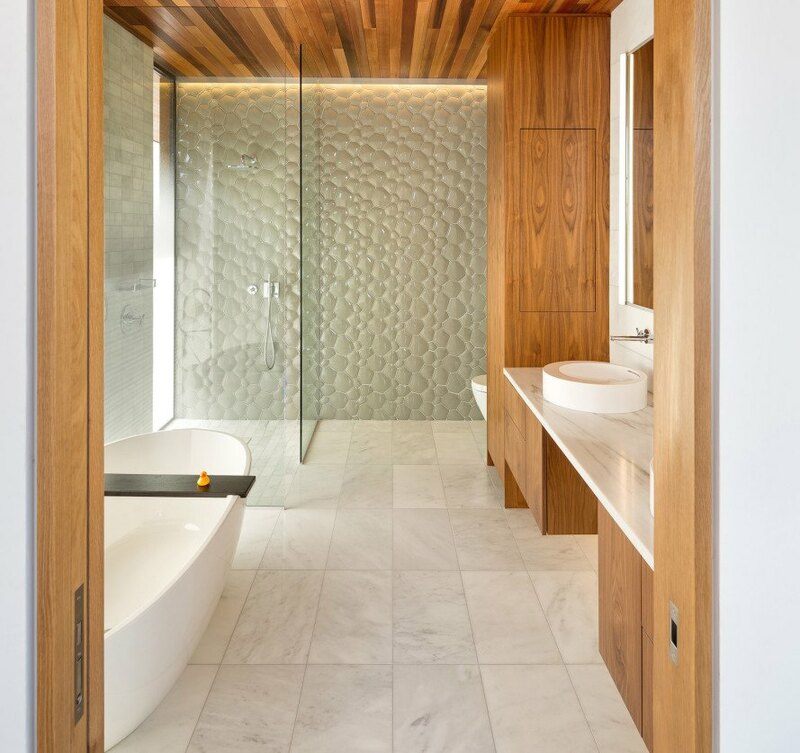 Playful glass in the master bathroom offsets the clean lines of the bathroom's other fixtures. Outdoor living is a key ingredient to the design, with a variety of outdoor porches and terraces providing space to enjoy the views at various times of day and in different kinds of weather. 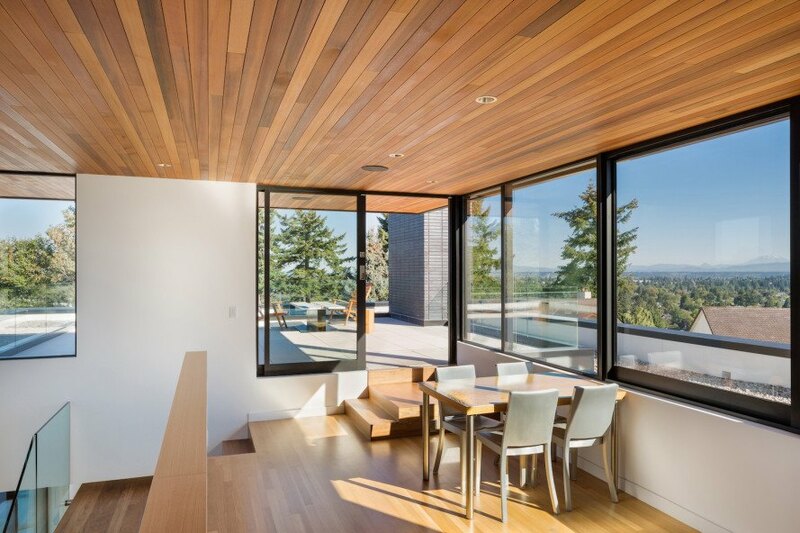 Cedar ceilings echo the deep cedar overhangs found on the decks and porches outside. 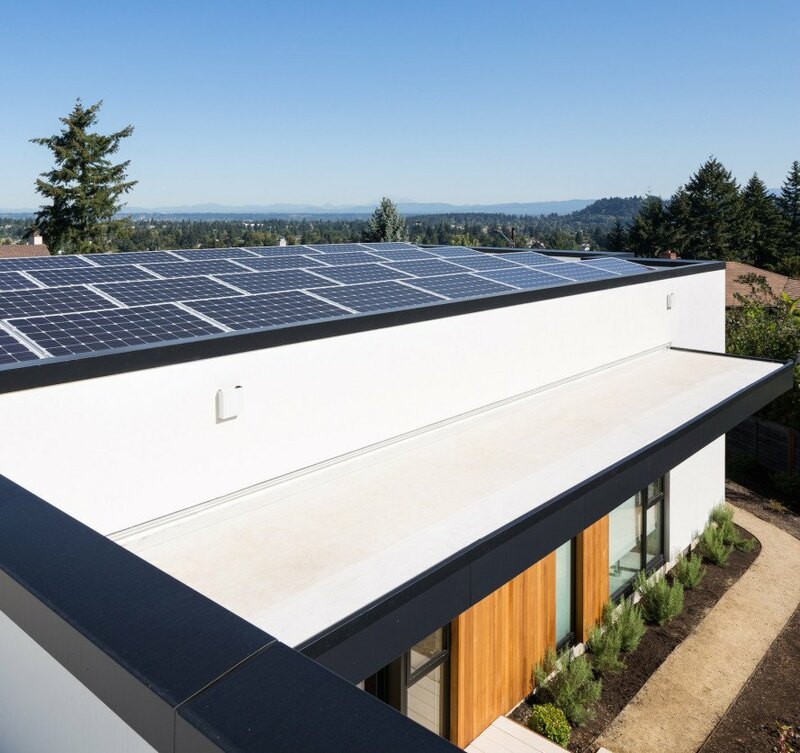 A geo-exchange heat pump produces heat from groundwater and solar arrays are used to power the house and heat the pool as well. 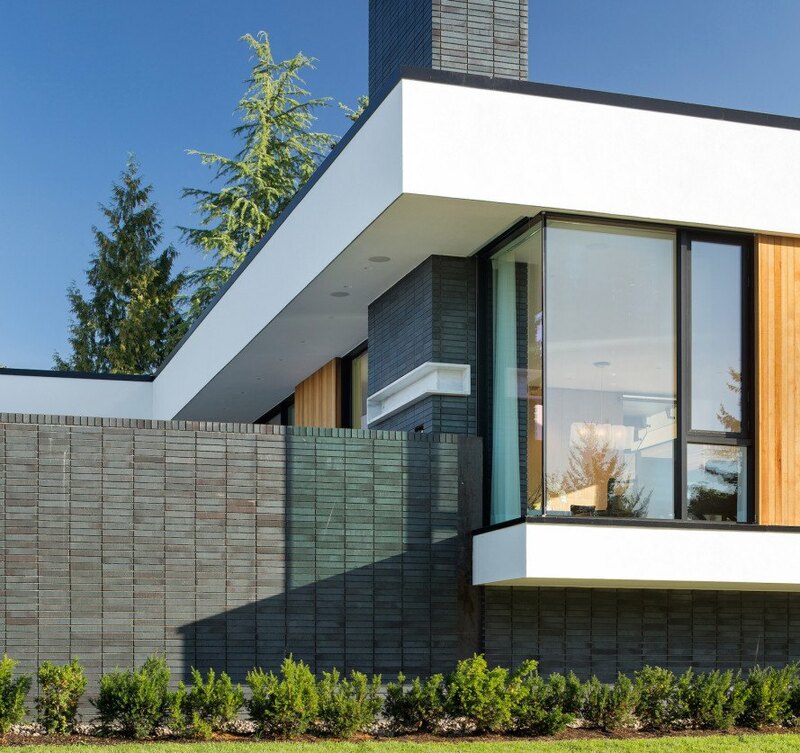 Large glass walls and windows minimize the division between interior and exterior in this Portland home. 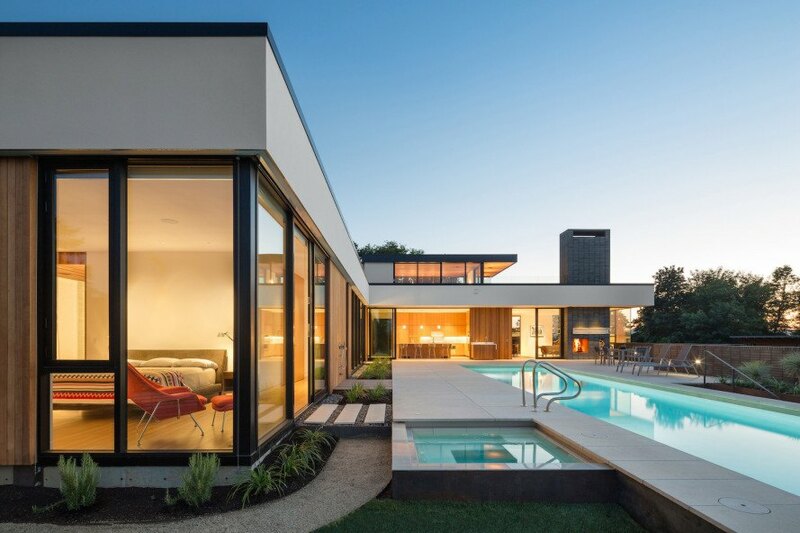 Located on an infill site on Southeast Portland's Mount Tabor, the Ash + Ash house, designed by architects Hennebery Eddy, combines stylish modern design with an array of eco-friendly features, making the home largely independent of the city's water and electrical systems. Outdoor living is a key ingredient of the design, with a variety of outdoor porches and terraces providing space to enjoy the views at various times of day and in different kinds of weather. 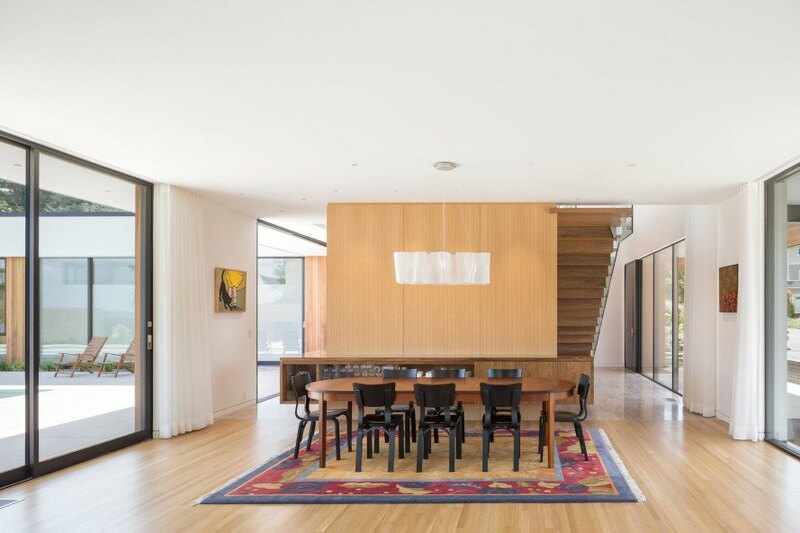 Extensive use of glass throughout the house reduces the barrier between inside and out, while an L-shaped floor plan provides a private setting for the pool terrace.